5 Common Investor Mistakes To Avoid - DHLC Investments, Inc. When you’re fixing up a property, it’s tempting to want to add specific finishing touches based off your own personal taste. DON’T DO THIS, I REPEAT DO NOT DO THIS, doing so is only going to limit your market. Remember, buyers need to envision themselves living in the home. You may love the idea of purple walls but do your buyers? I recommend sticking to neutral colors such as grays and tans. Also make sure to get all repairs handled before you begin any upgrades. If you do not know how to calculate your scope of work try using our DHLC Budget Builder to quickly evaluate investment opportunities and simultaneously create a Scope of Work. One common misconception for a new flipper is that the expenses end when you’ve completed repairs and upgrades. The longer you have to hold on to the home, the more money that you’ll have to spend on maintenance such as landscaping or keeping the electricity on for showings. If you plan to use the home as a rental, then you need to take maintenance costs into account so they don’t wipe out your profit margin. Homes, in particular older homes, require frequent maintenance. Before you sign on the dotted line double-check all the numbers. You want to make sure that the property is going to make you money whether you’re renting it out or flipping it. Don’t assume just because the house appraises for a certain amount that it will sell for that amount. Make sure to leave plenty of room in the budget for unexpected market changes. Once you’ve completed your first successful flip, It’s common for investors to see this as an opportunity to expand which is great… However, just because you have had one successful flip that doesn’t mean you should start buying more properties than you can handle. The only guarantee in flipping houses is there is no guarantee and you should always be prepared for surprises. If unexpected cost arise during a renovation you want to be sure you have the funds needed to fix the problem correct the first time. If you feel in over your head you may begin to try to cut corners to save cost which ultimately is going to cost you in the log run. With real estate investing you never want to overextend yourself. There are plenty of fix & flip investors out there, and the ones who stick around are those who have had success and understand the business. Don’t assume that you can learn how to flip houses by watching a few episodes of flip or flop on HGTV. There’s no substitute for experience & DHLC Mortgage has been in the hard money game since 2002 helping our borrowers be successful. Other ways you can learn about the industry is to look for events where investors gather to discuss real estate investing such as REI expos that are held annually. 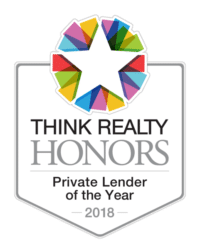 If you’re thinking about getting started in property investments and have a few questions or are in need of a hard money loan contact DHLC today or stop by our booth at the next Think Realty Expo April 29th, 2017 or call us today at 214-501-5151.